The world's tallest building, the Burj Khalifa, which reaches to a phenomenal hieght of 2,723 feet (823 m) above it's base. Located in Dubai, in the United Arab Emirates, the Burj Khalifa is surrounded by the world's largest shopping mall and is located at the heart of the city. 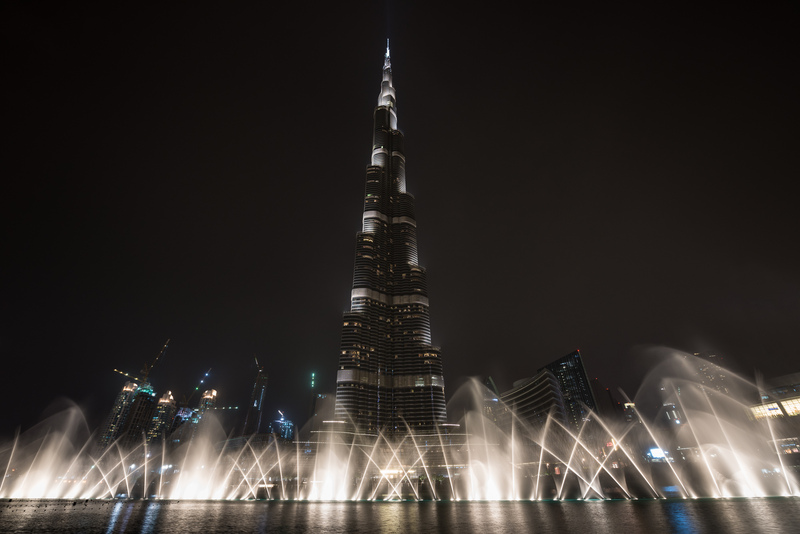 In this image, the Burj Khalifa is seen at night with an extravagent water and light show happening in front of it.